A Michigan native, Sarah Lipton developed a taste for the Idaho mountains during childhood trips to Sun Valley. 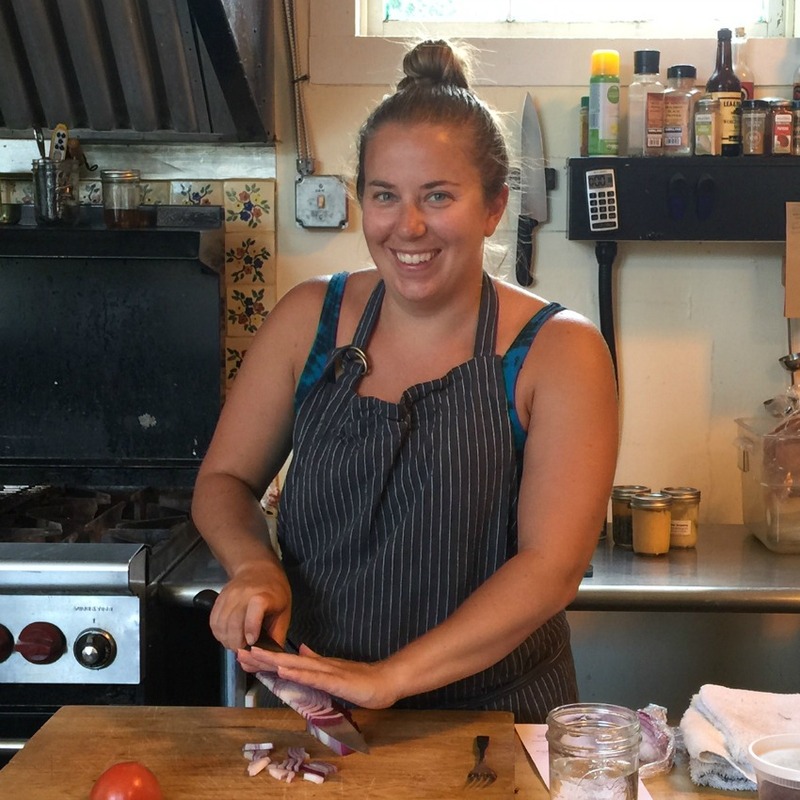 After studying restaurant management and earning a degree from The French Pastry School in Chicago, Sarah honed her skills as pastry chef at top restaurants such as North Pond in Chicago and The Little Nell in Aspen. In 2012, she opened her first restaurant - Della MANO - in Ketchum. She now puts her skills and passion for the art of pastry creation to work at Hank & Sylvie's, her bakery and floral shop with locations in Ketchum and Hailey. When did you realize that you wanted to be a chef? I realized in high school that all I wanted to do was cook. Did anyone in particular inspire your interest in preparing food? I would say my mom and my grandma were the biggest inspirations. In my opinion ‘good food’ is not only thoughtfully paired and prepared to make a delicious meal or dish but also thoughtfully grown and sourced. My pastry school bread professor, John Kraus. This answer changes all the time, currently given the heat wave we are experiencing I would say ice cream is at the top of the list. I feel that if you purchase your food from the grocery store then it is important to buy organic. If you are buying locally from the farmers market or farm stands, it is not as important for the food to have an organic certification, just for you to know that the farm utilizes organic farmingpractices. The USDA organic certification process is very cost prohibitive for smaller ranchers and farmers, I feel like not many people realize that. I am only one person, I can buy local, eat local, support organic sustainable farmers and ranchers but I cannot impact the food system alone. I can only hope that when people eat my food they can taste the difference and want to recreate it themselves at home. I would love for the food system as a whole to focus more on small local farms and less on massive commercial growers and also to shift toward seasonal eating instead of eating whatever you want because it can be grow halfway around the world in the wintertime. Broader access to local food for everyone; leaps and bounds have been made, but it is not enough. I think every restaurant, school, grocery store and food establishment should be serving/selling as much seasonal local food as possible as opposed to commodity-style, mass-produced food. There is plenty of local food to go around but there needs to be a way for everyone to recognize the value in eating local. Once that happens, the local food system will have more demand and will have the ability to grow to accommodate the demand helping to sustain the local food culture.